WASHINGTON — The U.S. Defense Advanced Research Projects Agency has awarded Boeing a contract worth as much as $104 million to build and demonstrate a low-cost airborne launching system for small satellites, according to a March 24 posting on the Federal Business Opportunities website. 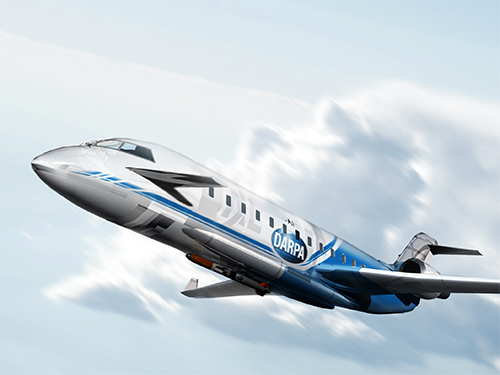 The contract is for DARPA’s Airborne Launch Assist Space Access (ALASA) program, which is intended to field a system to launch satellites weighing up to 45 kilograms into low Earth orbit for $1 million each. The base value of Boeing’s contract is $30.6 million, with a first option worth $72 million and a second option worth $2 million, according to the posting. The program is aiming for a demonstration launch in fiscal year 2015. DARPA requested $55 million for the program in 2015, up from $42 million in 2014, according to the budget documents. DARPA in 2012 awarded ALASA design contracts to Boeing, Lockheed Martin and Virgin Galactic, along with related technology development contracts to three other companies.